done with rhya tamasauskas and kyle sim. part of Island Hopping – Paradise in the City for Nuit Blanche 2006 (Toronto). Island Hopping had eleven artists from the collective A Collection of Foreign Objects bring six fantastical and interactive “islands” to the streets of downtown Toronto. 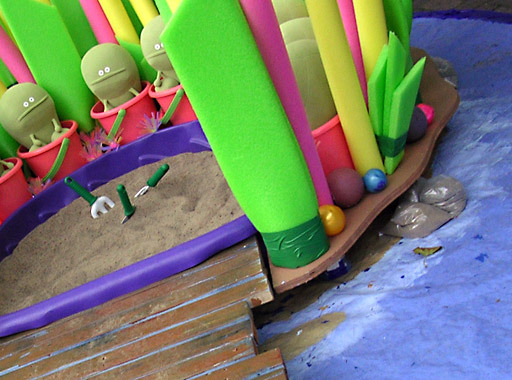 Our island invites passersby to enter the island and play in the sand.